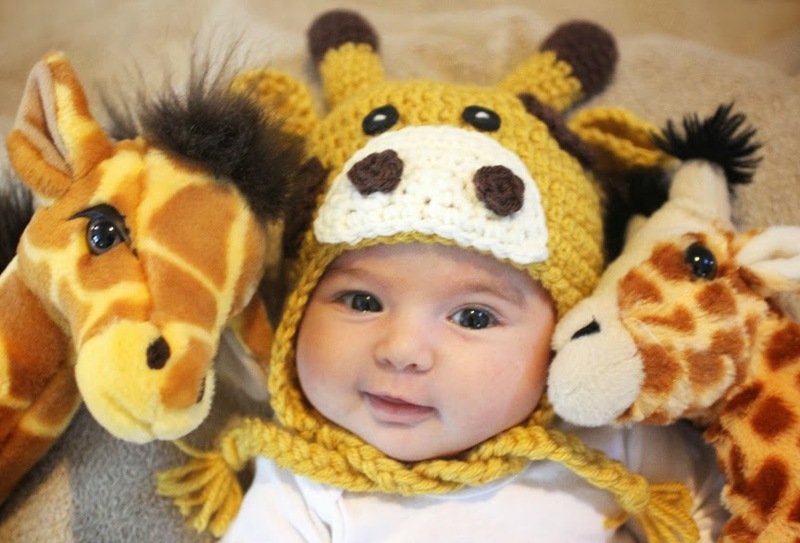 My boys love giraffes. It’s their favorite zoo animal and they both have giraffe stuffed animals that they snuggle with in bed every night. 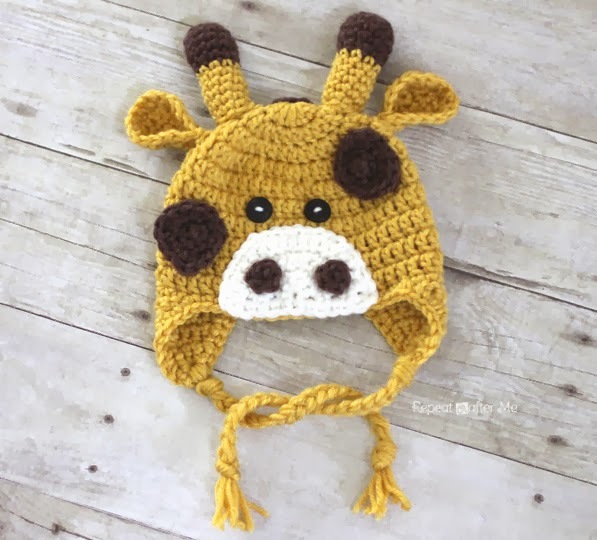 So this giraffe hat has been on my to-do list for awhile! And I must have good timing because there is something called the “great giraffe challenge” that has gone viral on Facebook the past couple of days. 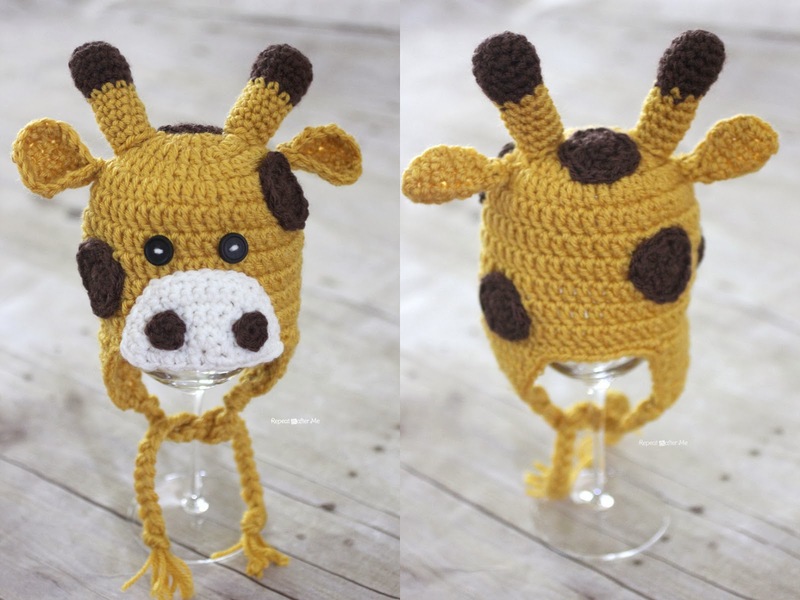 If you noticed your friends changing their profile pictures to giraffes, you can read why HERE. 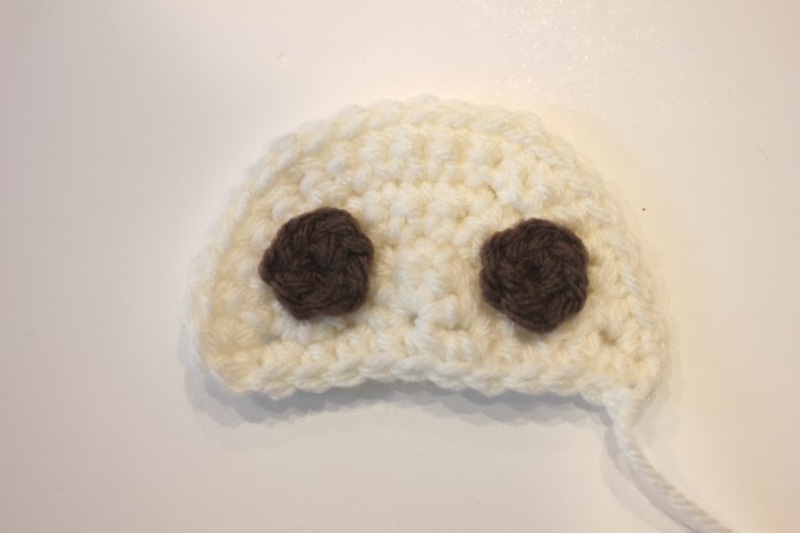 Row 9: SC decrease, chain 1 and continue to SC around the entire bottom edge of the hat (including earflaps). Fasten off and weave in ends. Cut 6 long strands of the same color yarn, pull yarn halfway through last loop of the earflaps (you now have 12 strands). Knot, braid and knot again at the end of your braid. Trim ends of braided tails so yarn is even. Do this for both earflaps. Row 11: SC decrease, chain 1 and continue to SC around the entire bottom edge of the hat (including earflaps). Fasten off and weave in ends. Cut 6 long strands of the same color yarn, pull yarn halfway through last loop of the earflaps (you now have 12 strands). Knot, braid and knot again at the end of your braid. Trim ends of braided tails so yarn is even. Do this for both earflaps. Magic Ring, 6 SC in ring. Pull tight but don’t join. You should have a half circle. Chain 1, turn. Continue to SC along bottom. Fasten off leaving long tail to sew into hat. Magic Ring, make 6 SC in ring, join and pull tight. Magic Ring, 6 SC in ring, join and continue to crochet in rounds. 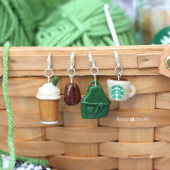 Use a stitch marker if needed. Feel free to continue sc in rounds if you want the horn to be longer for larger hats. Otherwise fasten off leaving long tail to sew into hat. Row 8: Make 2 SC decreases, continue to SC around entire ear. Join to the second SC (this will cause the ear to cup). Fasten off leaving long tail to sew onto hat. For more detailed directions about the ear and how to sew it on, see my Zebra Hat Pattern. Magic Ring, 6 SC in ring, continue to SC in rounds. 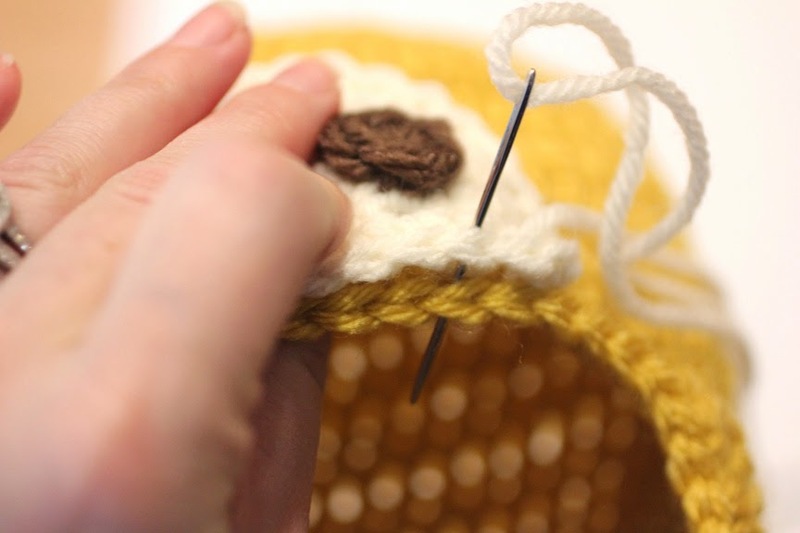 Use a stitch marker if needed. Round 3: 2 HDC in first stitch, 2 DC in next stitch, 2 HDC in next stitch, SC + HDC + HDC in next stitch, SC in next stitch, slip stitch to join. End round here. Fasten off leaving tail to sew onto hat. But when you are done it is all worth it! i love your patterns. you do great work! i have made the Minnie Mouse set and just loved it! again, you do fantastic work.!!! Thank you so much for sharing the patterns. Thank you, thank you, thank you! Your patterns are great. I love that you provide different sizes. They're so easy to follow. I just wanted to express my gratitude. Its so hard to find free, easy to read patterns. thanks again for all these cute hatpatterns!!!! what a lovely baby you got!! soooooooooo huggeble!! Adorable! How do you do the ties to hold the hat on? Thank you. So so cute. i make just about all the hats, my neph is almost 2, hopefully im not the only one making these whimsical hats. 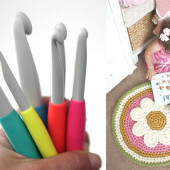 I absolutely LOVE your patterns, and I think it's wonderful that you share them with the entire crochet community. Keep up the fantastic work! Help me out here… something is seriously woring with the snout pattern. Tried it for the last 2 hours and can not get it right! It ends up way too wide and not tall enough – nothing like the picture! What am i doing wrong?! I even assumed there was a typo like poptartmal says and i tried it her way and still doesnt work! Help!!! Magic Ring, 6 SC in ring. Pull tight but don't join. You should have a half circle. Chain 1, turn. 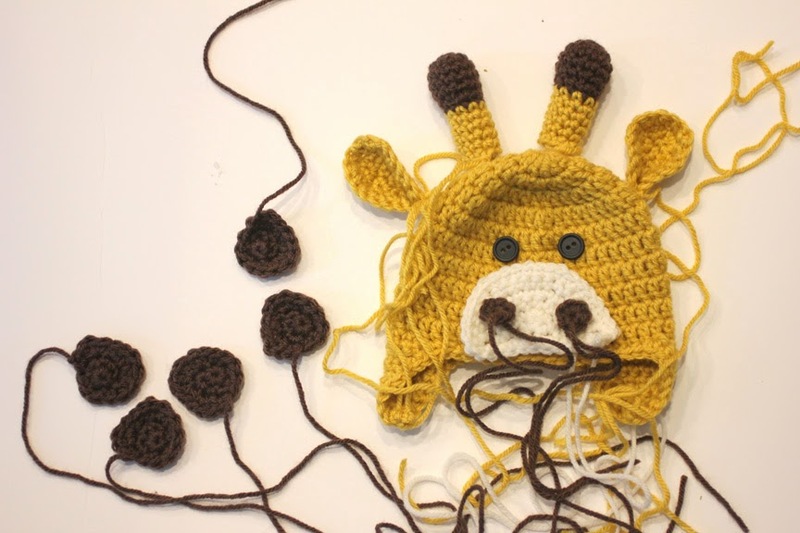 Do you have the directions for making the bow and braided ties for the crochet giraffe hat pattern. Thank you. Thank you! I was stressin out last night i couldnt figure ouy what i was doing wrong! Also sorry my!comment showed up 3 Times dunno what happened there! I love your patterns! Thanks! Could someone please tell me what the "Magic ring" is and how to make it? I for the life of me cannot figure out how to do it. TIA Love your patterns and am making your Teeny Tiny Pumpkins. 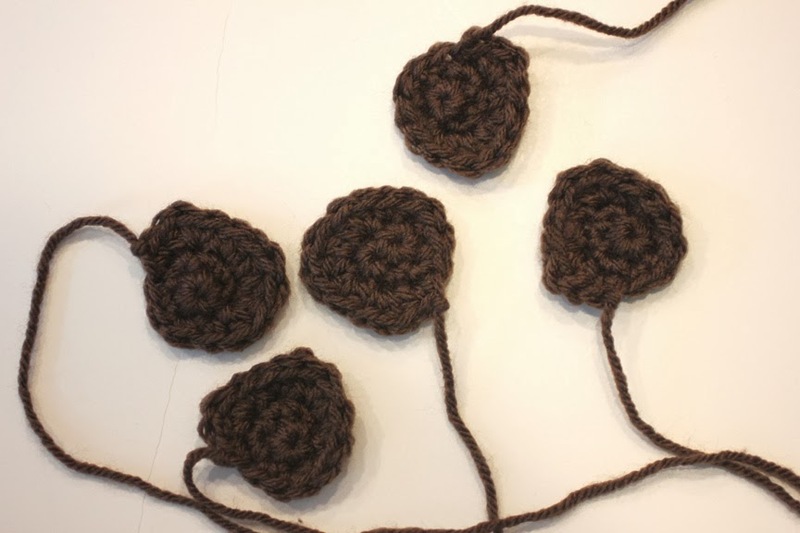 We don't count our chain 2's as a double crochet stitch correct cause if I do it's always a number up. 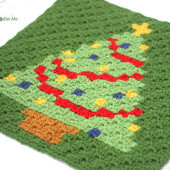 Nevermind I see in another hat pattern of yours, you state do not count the chain as a stitch, thank you. Love your patterns. 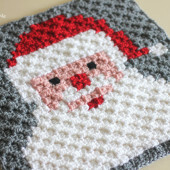 Thanks again for the awesome pattern! Thanks for this! 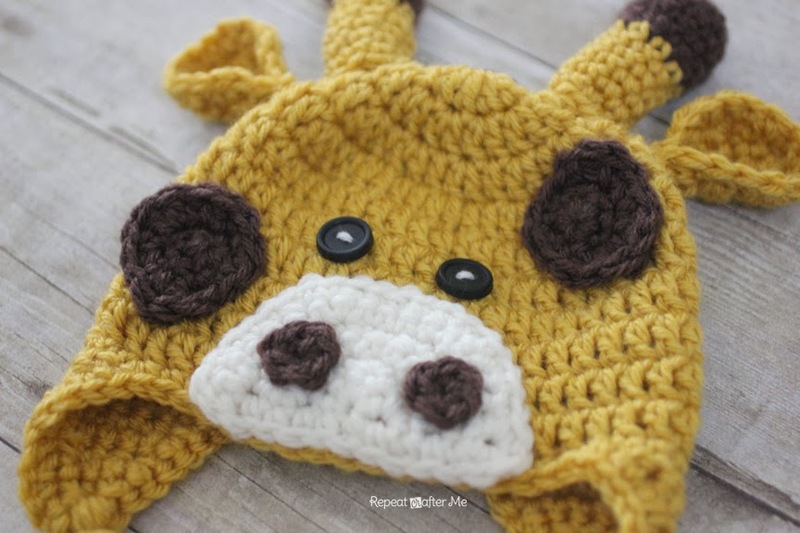 My cousin asked me ages ago to make a giraffe beanie for her little boy. Finally found this one and have cranked that sucker out in a day. Thanks! Thanks for everything being free. Not all of us can afford to spend $5-$6/pattern plus materials for grandkids when we’re on a fixed income. THANKS!! Do you have the directions for making the bow and colored braid ties?